I've been craving for shabu-shabu since Monday of the week and waited for Saturday to come to visit this newly opened restaurant. We called to reserve a table for 2 Friday afternoon since I thought that the place might get packed. We got to Shaburi around 11:30am and we were I think the third ones to arrive (since they opened at 11am). 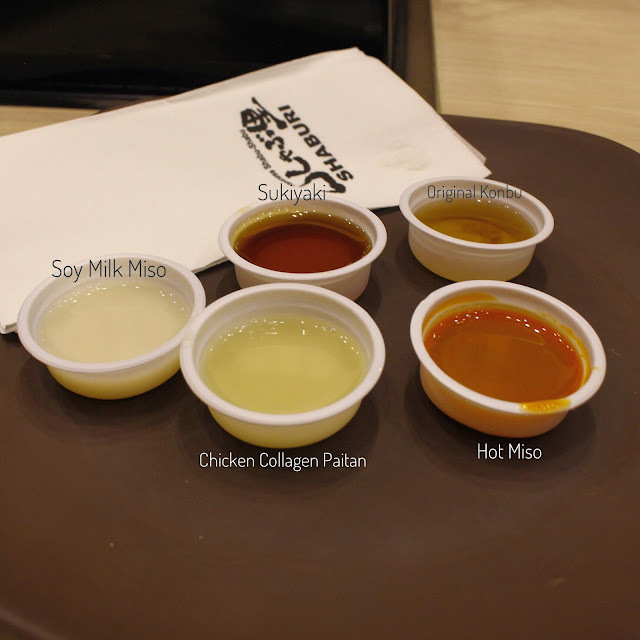 I tasted all the soups except the spicy one (at first) and fell in love with their chicken collagen paitan soup. It was a thick and tasty broth similar to a ramen soup. I found this to be the most flavorful out of all the soups. My sister got the spicy one even if se didn't try it first. This was also good and had a hint of spice. By the way, we only ordered the regular shabu for P599 with just the tender pork and tasty beef. I find this more expensive than other unlimited shabu-shabu places since they have fewer selections. You can also try their wagyu set if you are willing to spend more, since I think this is what they're known for. I found their chicken karaage okay. Typical fried chicken. We found the taste of their chicken wings weird. They have gyudon, which I also found okay. They also have carbonara udon and wagyu rice, which I wasn't able to try. They have a bunch of drinks you can choose from: iced tea, blue lemonade, cucumber lemonade, orange juice, milo, and sodas. They also have packs of green tea and some hot water for those who are feeling bloated with all the food. > You can only add Kobu soup to your chosen soup as a refill. 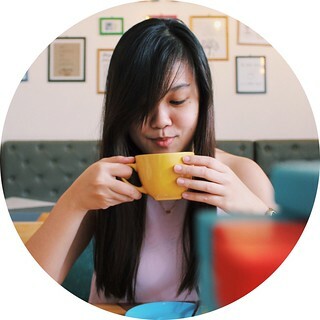 If you wish to have some more of your chosen soup, you would only have to pay P75. > You have 90 minutes for your whole stay in the restaurant. (I clarified this with the server). They will stick a receipt with the time and chosen set on the edge of your table. > Place got crowded around 12:30pm, so better call for a reservation (and arrive on time or 15 minutes after your reservation max) or arrive early. Food was good. I think they have less choices compared the other unlimited shabu-shabu places. The meat pieces tasted typical. For dessert, they have an ice cream machine with flavors chocolate and vanilla. There's also the mixed for those who want both. There are also some toppings you can add to your ice cream like marshmallows, sprinkles, chocolate chips and cornflakes. They also have fruits: melon, pineapple and papaya. Service was outstanding! Servers were friendly and came to our tables to clear out empty plates and ask us if we wanted more meat more often than needed. One downside to their service though was during billing. We had to wait for awhile for our change. When we approached the counter, it seemed like they were having problems with their system. But that's not related to our problem, because they lost our bill (and change) lol. 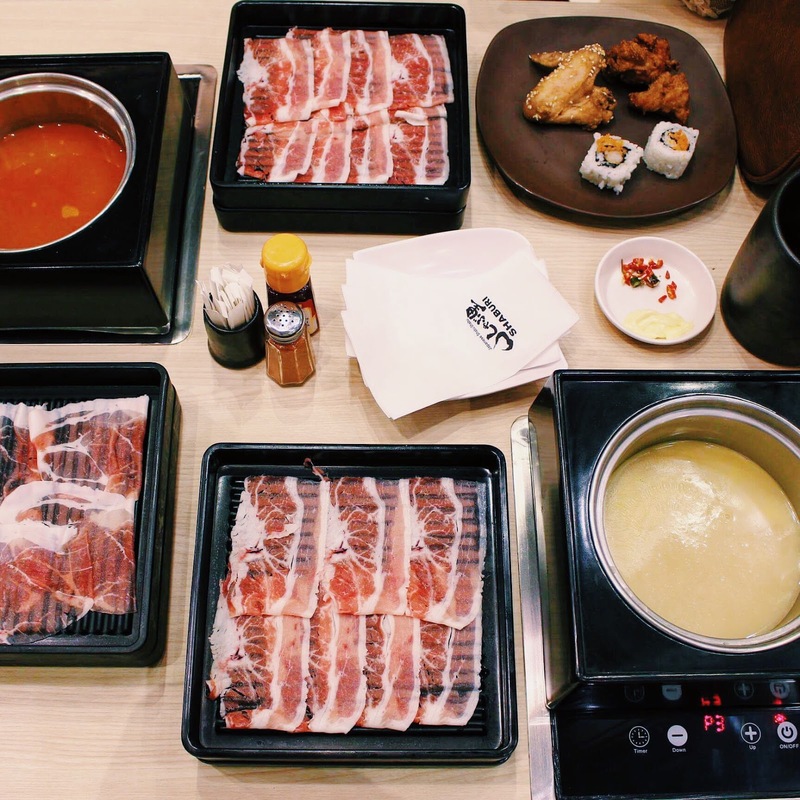 Overall, I can say that I liked my visit because I'm a meat lover, whether it be a shabu-shabu or barbeque. I also liked my visit because their soup is different from what I usualyy have in other shabu-shabu places. Othen than that, I think this place is just okay, unless you want to try their wagyu then I think you'd have a different experience.